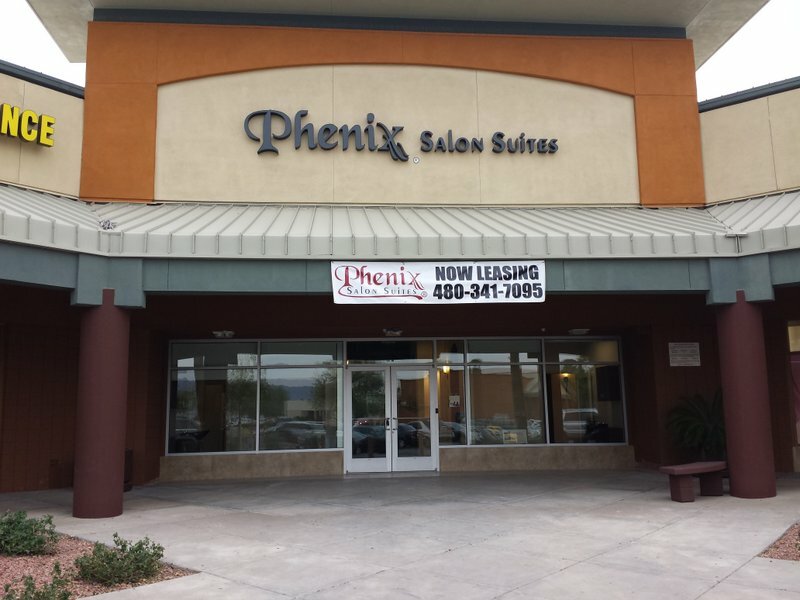 Phenix Salon Suites Scottsdale 13610 N Scottsdale Road Suite 15 Scottsdale, AZ 85254 We are leasing Phenix Salon Suites at our Scottsdale location! Located in the Plaza in the southwest corner of Scottsdale Road and Thunderbird Road. Close to Kierland Commons and Scottsdale Quarter. Build your business in one of the most prestigious and sought after areas – North Scottsdale. Be part of the Phenix Salon Suites flagship Arizona location! Nearby businesses include CosmoProf, Starbucks, Dancer’s Domain, School of Rock, Jabz Boxing, Good Feet, Giuseppe’s, Arrivederci, Foosia, Potbelly Sandwich Shop and much more. Come join the “Phenix family” today and grow your business with your own private, uniquely decorated suite. Call 480-341-7095 for a personalized tour and to select the perfect suite for your business. We will help you every step of the way, as part of the Phenix Salon Suites family!